Living in a shadow isn’t easy. It’s a thankless existence, typically spent trying to stand out and get a little bit of the limelight so constantly poured on the one blocking the sun. And friends, the Volkswagen Jetta GLI has spent a long time living in the shadow of the legendary Golf GTI. 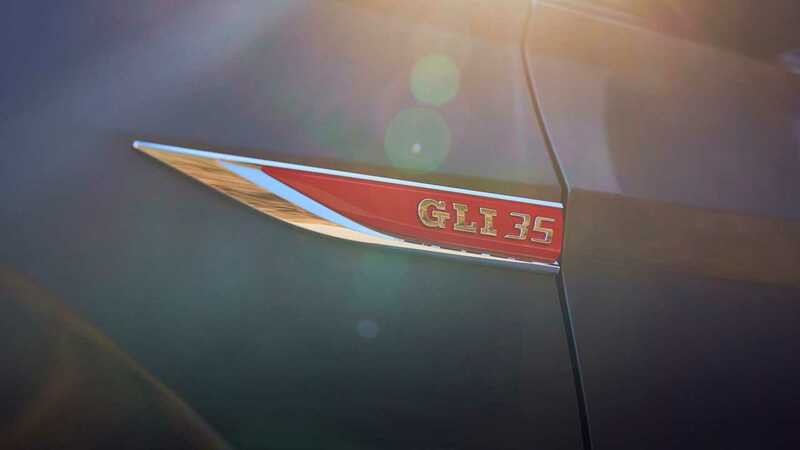 Since its birth, the GLI has carried a GTI engine, a GTI transmission, and GTI-inspired styling. It’s had the same heavily bolstered seats and steering wheel. Aside from its three-box shape, the hottest Jetta has been nothing more than a GTI with a trunk for its entire existence. 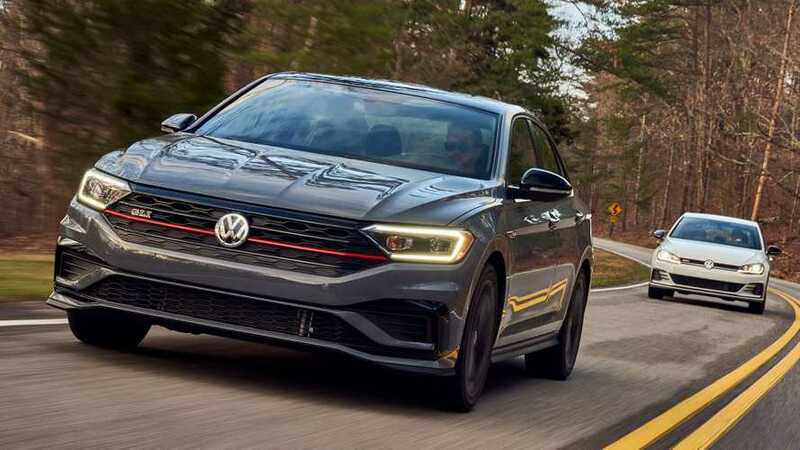 Yet, saying the 2019 Jetta GLI is a GTI with a trunk sells this compact sport sedan short. 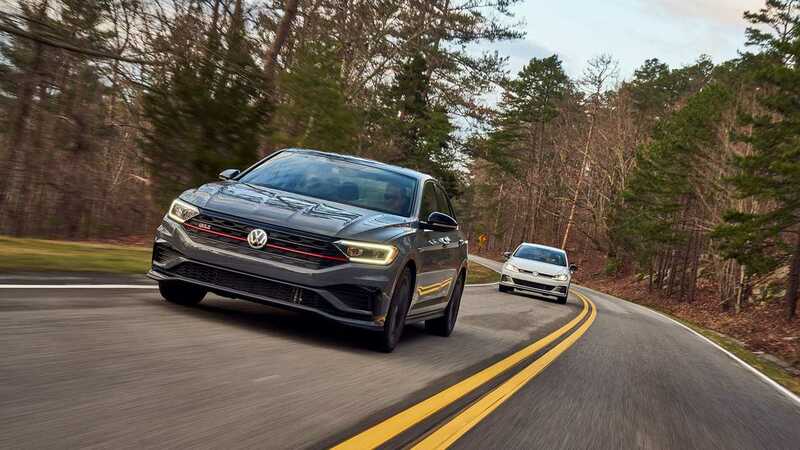 Because it’s based on a newer vehicle, with more modern styling, and smarter technology than the current Golf, this hot Jetta feels distinct from the GTI. And while there’s a lot of GTI in the GLI’s mechanicals, there’s also bits of Golf R sprinkled in, like coarse grains of salt on a German pretzel. And with a price that undercuts the GTI, the Jetta GLI finally has enough going for it to seize some of its five-door sibling’s fame. 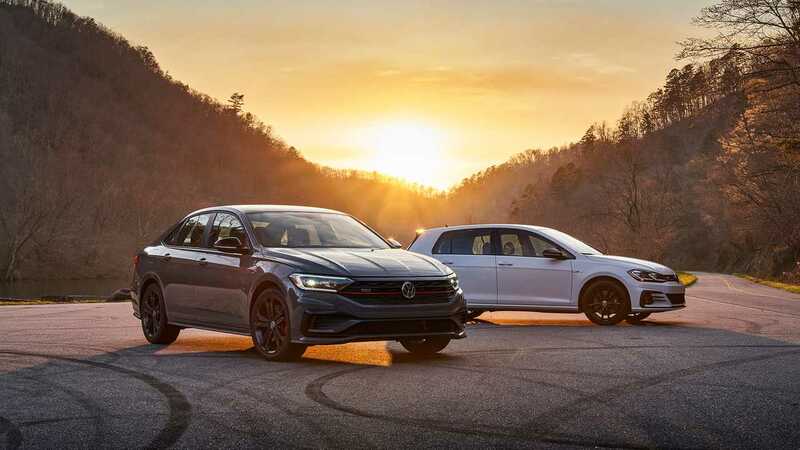 And to prove that, Volkswagen took us to the famed Tail of The Dragon, a legendary, 318-turn, 11-mile piece of heavenly tarmac draped across the Great Smoky Mountains on the Tennessee-North Carolina border. Let’s talk about that price, because it really is the most compelling argument for a GLI, particularly if you’re considering a base model. 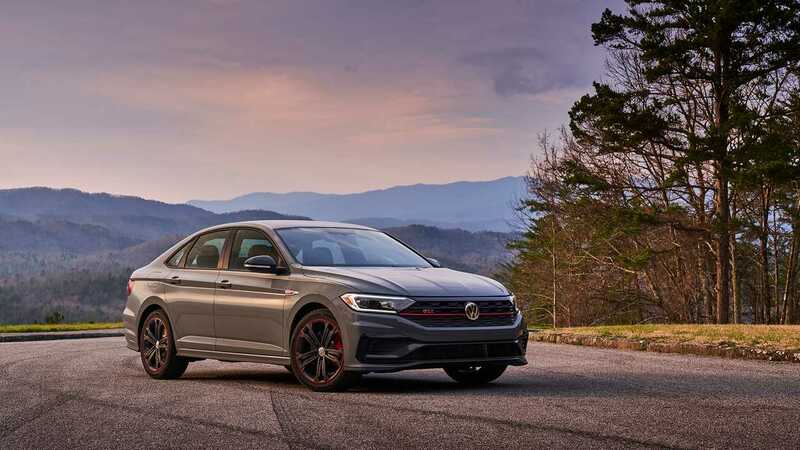 The 2019 Jetta GLI S starts at $25,995, and for that reasonable sum, it packs a 228-horsepower, turbocharged, 2.0-liter four-cylinder engine, a six-speed manual that just begs for some heel-toe goodness, a mechanical limited-slip differential, a new-to-the-Jetta multi-link rear suspension, and brakes from the Golf R. The Golf GTI has all of these things as well, but its starting price is $27,595. It’s worse if you want the seven-speed dual-clutch automatic – the DSG costs $1,100 on the GTI, but only $800 on the GLI. 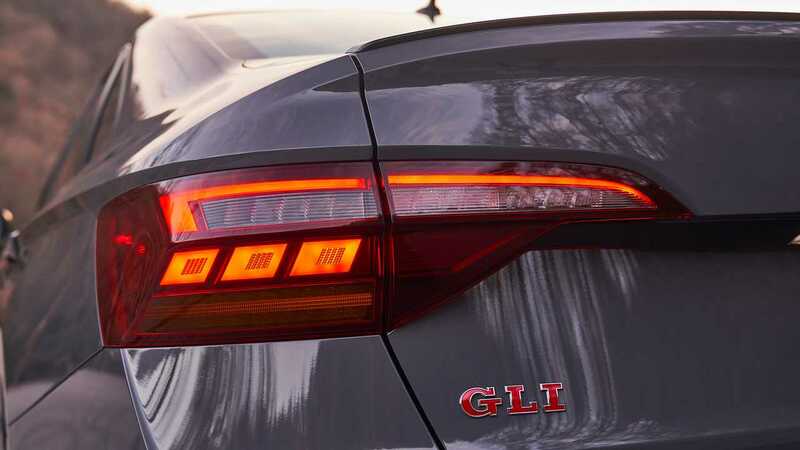 Of course, once you get away from the pricing, the GLI delivers a GTI-like driving experience. The 2.0-liter turbocharged four-cylinder is a likable engine. Hell, I’m not sure if VW has ever built a 2.0T that wasn’t a joy to drive. All 258 pound-feet of torque arrive at 1,700 rpm, so the engine is almost always able to pull the compact body out of corners with verve. The addition of a VAQ limited-slip differential on the GLI only enhances this attribute, curbing wheel spin during overambitious throttle situations. Even at moderate engine speeds, the 2.0T has the goods to go. Even at moderate engine speeds, the 2.0T has the goods to go. Serving alongside the 2.0-liter engine is the driver’s choice of a standard six-speed manual or an optional seven-speed dual-clutch automatic. The seven-speed automatic, a member of Volkswagen’s DSG family, does its job well. In automatic mode, it swaps cogs and does its best to blend into the background of the car’s operation. 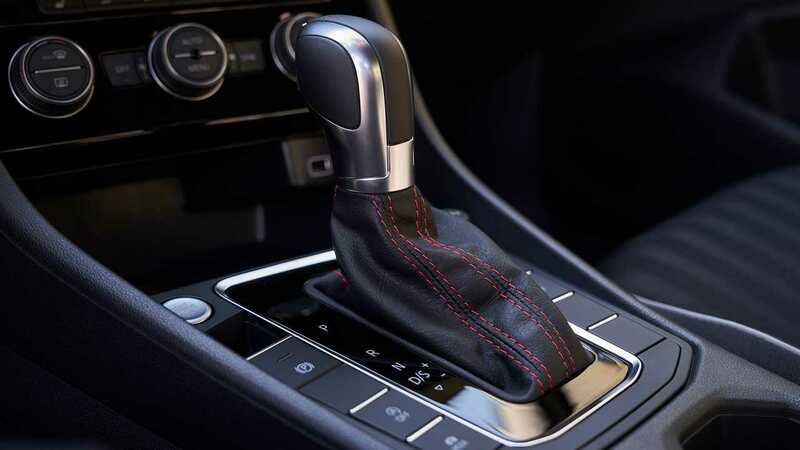 Slot the gear lever into manual operation mode and switch the transmission’s tuning to Sport mode, though, and the DSG comes alive, thanks to sharper upshifts and more immediate downshifts. But it’s also less aggressive than the dual-clutches in other Volkswagen Group products – the gearboxes in the Golf R or Audi S3 feel more eager, although if you haven’t sampled either of those cars, the GLI’s autobox won’t be a bother. The stick shift option, meanwhile, is a joy to work, from its progressive, predictable clutch to its perfectly sized shift lever and appropriate throw. This transmission begs for heel-toe downshifts and rapid-fire upshifts, but it's set apart by its notchiness. Normally a problem, the small amount of rubbery resistance at each gate gives this transmission substance and makes it feel real and unsanitized. There are practical reasons to grab this gearbox over its dual-clutch counterpart. Along the Tail of the Dragon, the six-speed stood out as the more involving choice. Shocking, I know. But fun as the sensation of physically managing a gear lever and three pedals is, the six-speed’s gear ratios make the drive easier, too. The Dragon is a notoriously technical, relatively low-speed road where gearing can make or break your run. 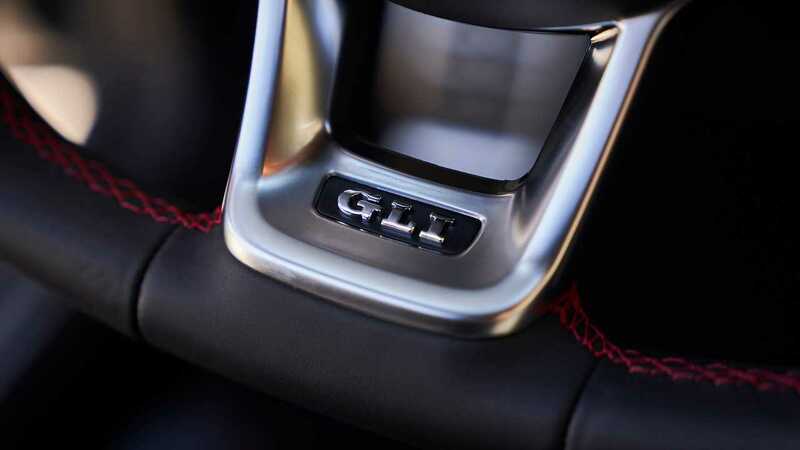 Switching between the GLI’s two transmissions is a stark reminder of that fact. The manual boasts a taller second gear, allowing the driver to enter a corner, keep the engine in the meatiest part of the rev range so as to take advantage of the 2.0-liter’s abundant torque, and then rocket toward the next turn – all without having to change gears. It makes a road that’s already physically demanding just a little less so. The manual's smart gear ratios make a road that’s already physically demanding just a little less so. The dual-clutch transmission’s problems on a road like the Dragon are twofold. First, while shifting requires less thought, the shorter gear ratios require far more shifting. Second, the transmission will occasionally overrule the driver and won’t downshift, because it’d kick the engine speed up too high. Too often, these traits conspire to leave me flat-footed trying to exit one of the Dragon’s many bends. Put simply, the six-speed is more fun and better suited for twisty roads. Also better suited to twisty roads is the GLI 35th Anniversary Edition’s adaptive suspension. Only available on the middle-spec model, the Dynamic Chassis Control (DCC) dampers are a highlight that I wish VW would offer across the GLI range. On the roads from Knoxville to the Dragon, the DCC-equipped car is more comfortable, better managing undulations and imperfections. The gap between the two cars in these conditions is small, but it expands rapidly on the Dragon. In general, the DCC-equipped GLI feels more planted and composed through the Dragon’s fast and slow corners. The body motions are tight and linear, with a neutral feel when pushed. The outright handling limit from the multi-link rear and strut-type front suspension is higher with the adaptive dampers, too –to the point that it highlights the shortcomings of the standard all-season rubber. Summer rubber is a no-cost option and something I’d recommend. The non-DCC car rolls more, as well, with the standard setup causing the GLI to feel heavier and less agile. It also allows me to better feel the operation of the limited-slip differential, which is always an enjoyable sensation – I’m betting the lower performance of the base suspension loses grip on the inside tire, requiring the diff to step in more often. That’s no bad thing, but it doesn’t change the fact that the GLI with DCC is more engaging and enjoyable to drive hard, of course. The GLI with DCC is more engaging and enjoyable to drive hard. The GLI trim adds a good amount of stuff to the standard Jetta, of course. 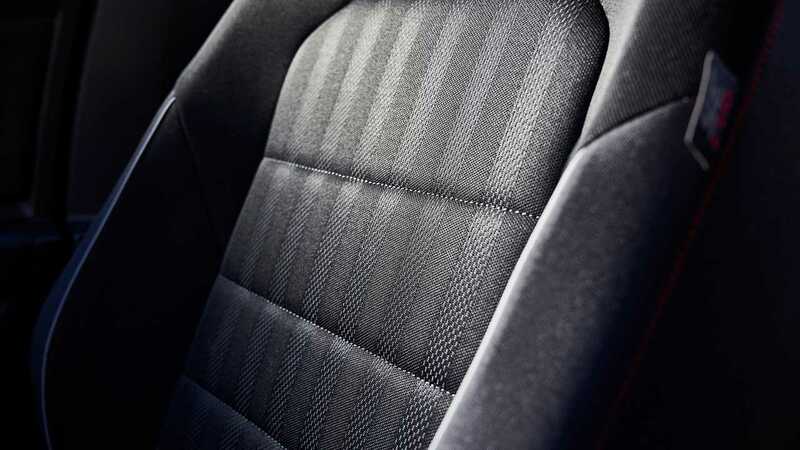 The seats and upholstery are GLI-specific items, and while these so-called Sport Comfort chairs are comfortable and supportive, they’re not nearly as good as what you’ll find in the GTI. The two cars do share flat-bottomed steering wheels, though, and similar exterior enhancements, with larger 18-inch wheels on lower-profile tires, as well as red exterior accents, and a model-specific grille. The impact on the rather anonymous-looking Jetta is pleasant, but neither as exciting nor as attractive as I’d like. What I do like is stuff that’s already present on the standard Jetta. 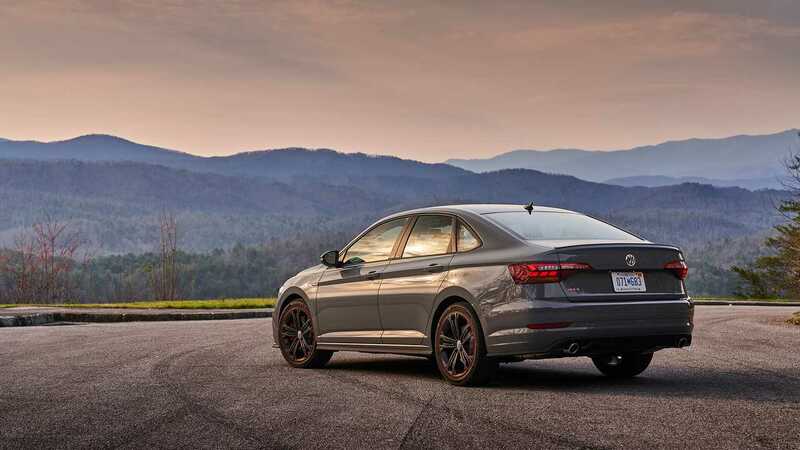 While the base GLI S is a fine steed for the price, the mid-range 35th Anniversary Edition is the best value at $26,995 ($27,795 for the automatic). But it’s the range-topping GLI Autobahn, starting at $29,195 that has the most goodies. Grab this trim for VW’s Digital Cockpit (a 10.3-inch, reconfigurable instrument cluster), ventilated front seats, and a 400-watt Beats audio system. You won’t find any of that gear in the GTI. 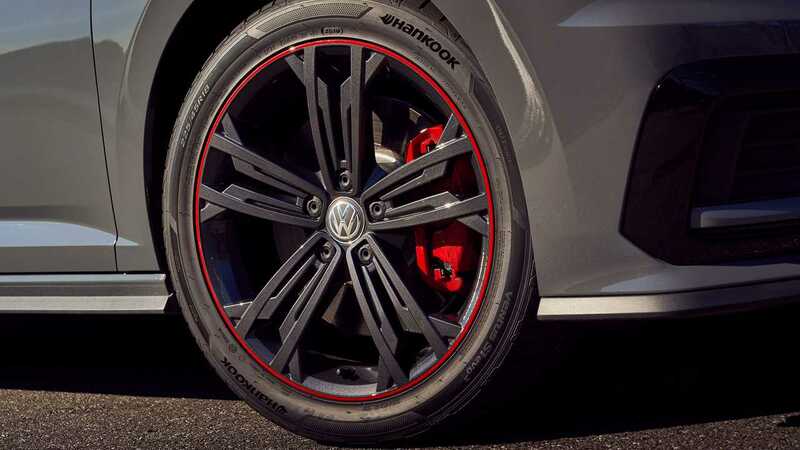 Reason and rationale rarely enter into the equation when buying a performance vehicle, but that’s exactly what we suggest if you’re shopping for a GTI. Listen to that little voice in your head telling you the Jetta GLI is the better deal – it is. It’s a vehicle that does almost everything the GTI can, but for less money, with better equipment, an inconspicuous shape, and a rarer badge.